The people at AllTime10s put this video together of their top 10 unexplained phenomenon and I liked it, but though it could a little more detail about some of the cases. 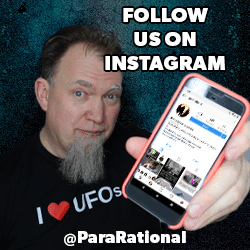 Here is the video and below that are some more information and links about each of their paranormal picks. 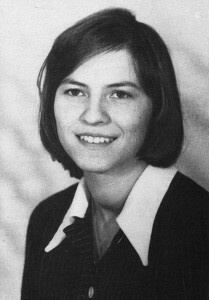 Annelise Michel was born on 21 September 1952 in West Germany to a very strick, Christian family. She herself was very religious and is said to have attended mass twice per week. After having a severe convulsion at the age of sixteen, Annelise was diagnosed as having temporal lobe epilepsy. Her condition worsened from that point on. In 1970, after her third seizure she was prescribed a combination of drugs, some including anti-psychotics due to her complaining of seeing demonic faces. By 1972 she spoke of hearing voices telling her that she was “damned” and would “rot in hell”. Her aversion to once comforting religious symbols and places turned to revulsion and at this, the family started considering that Annelise was possessed. In 1975, her family got approval for an exorcism, stopped all medical interventions and relied solely on exorcisms to remove the demons from Annelise. Unlike the movies based on this case, there is no happy ending here. After nearly 70 exorcisms, Annelise died of malnutrition and neglect. Annabelle is creepy as hell! 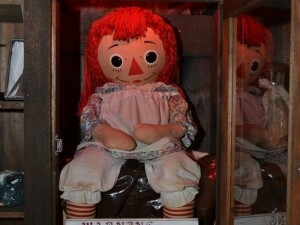 The subject of many TV shows, and even a few movies, Anabelle is a doll that is supposed to be possessed by a demon. The facts seems to point to the fact that it is. Most of what we know comes from Ed and Lorraine Warren who now are in possession of Annabelle and house it in their paranormal museum. Supposedly the doll was originally bought in 1970 at a 2nd hand store as a present innocently enough. She was given to a nursing student named Donna who discovered shortly after getting her that the doll would occasionally move on its own. More disturbingly, if left alone, it would be found in different parts of the house. After a month of strange happenings, Donna and her roommate called in a medium to see what is going on. My guess is the medium was not particularly experienced because when the spirit said that it was that of a young girl that had died in their building and felt comfortable around Donna and her roommate Angie, she believed it. In reality, it was more likely that the doll is hosting a demon that played the standard game of being an innocent soul to get Donna and Angie to drop their guard and open up to it. The worst events started after people started expressing doubt that Annabelle could do anything. The first purported victim was a friend of their named Lou. after expressing his doubt about her, Lou woke from a terrible nightmare to the feeling that he was choking. Waking to this, Lou looked down to find Annabelle crawling up his leg. Following this, Lou was attacked by an unseen force that left seven distinct claw marks on his chest. This was enough to prompt Donna to contact the Warrens and get them on the case. To this day, no one is to open the case in which Annabelle is stored. One visitor to the museum is supposed to have opened the door to her case and challenge her to do her worst. The result was that he died in a fatal motorcycle crash for him and a year of hospitalization for his girlfriend. 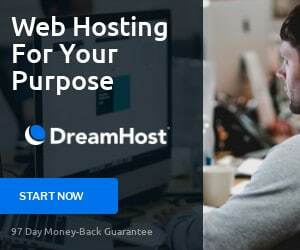 Did the ghost of Zona Heaster tell her mother that she was murdered? Did the ghost of Zona Heaster aid in the conviction of her murderer or was it all the concoction of a bereaved mother? The video touches on this case and then moves quickly on to another, but it deserves more attention. Zona was born and raised in Greenbrier County and in 1896 became romantically involved with a blacksmith that had just moved into town by the name of Edward Stribbling Trout Shue. Despite Zona already having one child out of wedlock, the two were soon married, but from the start Zona’s mother had a bad feeling about her daughter’s husband. Everything seemed fine, until one day just a few months later, an errand boy Shue had sent to the home, found Zona at the bottom of the stairs dead. From this point on, Shue’s behavior became strange. He manically guarded the body, most particularly the neck, even making such a fuss that the doctor that came to determine what killed Zona was unable to fully inspect her neck. Which is why her initial cause of death was listed as natural causes. Some time there after, Zona’s mother, Mary Jane Heaster, was visited by her ghost. Zona’s ghost spoke of how she had been killed and who had done it. Mary had already been convinced that Shue was to blame for Zona’s death and using the testimony of her daughter’s ghost, she had the body exhumed and a proper autopsy done. This time it was revealed that she had indeed been murdered. Shue was arrested in 1897, tried and ultimately found guilty of murder of Zona Heaster and sentenced to life in prison. His punishment would be cut short however as he died in 1900 from one of the epidemics that spread through the prison. By now you have likely heard of the Chupacabra. 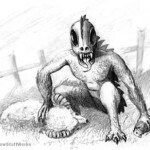 A monster of Latin America, it first was seen in 1995 in Puerto Rico and over time, sightings have spread across all of Latin America and into the American South West. Some of the stories of the Chupacabra have become muddled over time. 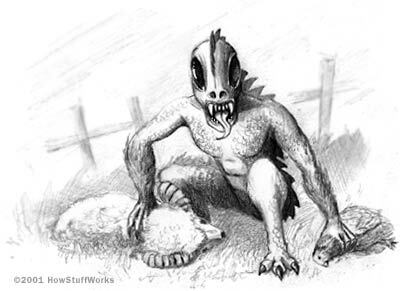 Originally the creature was blood sucking vampire type monster that stood about 5′ tall with spikes on its back and had glowing red eyes. Over time, the appearance has been mutated into one that is more fitting of a wild dog or coyote with a skin disease. In fact, most claims of people finding a Chupacabra turn out in fact to be hairless dogs, which do look quite bizarre. One of the more iconic UFO cases, the Battle for Los Angeles happened just after Japan’s entry into WW2. With tension high, spotters were on the lookout for Japanese bombers that might try and strike against important target on America’s west coast. What they found instead was possibly an alien aircraft. 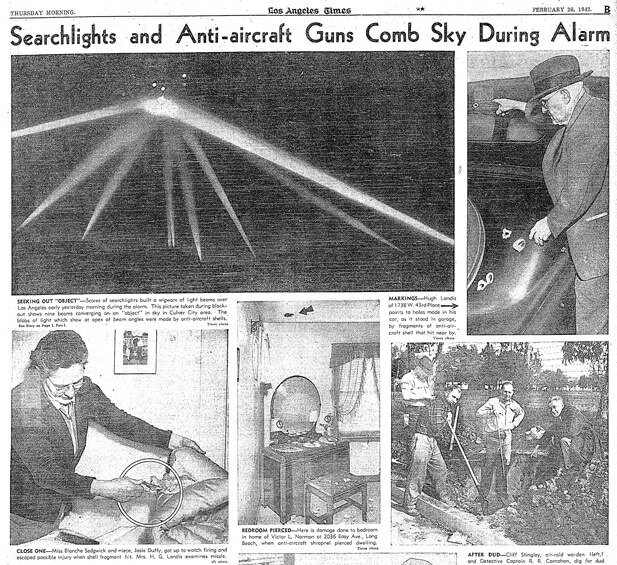 Feb. of 1942, an object was spotted flying over the city of Los Angeles. The reaction was swift and guns began blazing into the night sky guided by searchlights. At one point, a photographer captures ‘something’ illuminated in the night sky by the spotlights, but it is no aircraft of any human design, at least not of any designs yet. As the video points out, over 1400 shells were fired into the night sky but no aircraft was ever hit. Some observers of the battle observers reported lighted objects which were variously described as red-and-white flares in groups of three red and three white, fired alternately, or chainlike strings of red lights looking something like an illuminated kite. Doesn’t this sound an awfully lot like a triangular UFO to you? The video makes mention of the first recorded encounter with the Lizard Man of Scape Ore Swamp, where Christopher Davis’s car was attacked by the Lizard Man. There is definitely more to the story than one lone encounter though. For several months after Davis’s encounter, other cares within a 3 mile radius of the swamps of Bishopville were found with scrape and bite marks. Local police played these off as bears messing with people’s cars, but they cast 3 toed footprints found in the area and sent them to the FBI for testing. The FBI’s analysis was that they were “unclassifiable”. More recently a man claimed that his car was attacked by something and chewed on by the Lizard Man, but this case, blood evidence at the scene showed that a canine had done the damage. 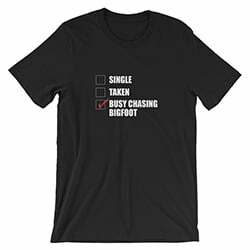 Some cryptozoologists think this is simply a misidentified Bigfoot, but I’ve never heard of a bigfoot chewing on cars, let alone jumping on top of one that is moving. While there are no living witnesses to the events in this case, the number of them lends some credibility to the fact that Emilie Sagee had at times a Doppleganger. Traditionally a Doppleganger is a portent of death and indeed if you meet yours, you will likely die. In Emilie Sagee’s case, I don’t believe she was dealing with a true Doppleganger, but a stress induced translocation, where she was unconsciously projecting her will into two places at once. Emilie herself would be completely unaware that her double was present save for the reactions of the people that were in attendance of the phenomenon. However it is said that her actions would slow and stiff. After such incidents she would be fatigued. My suspicion is that the stress of situations, particularly watching over her students, created a second version of her consciousness of some sort. Interestingly enough at one point her double appeared sitting in her chair while she was at the time out of the room talking to someone. Several brave students approached the Doppleganger that seemed to take no notice of them. One passed their hand through it and encountered an odd resistance. It slowly faded out before Emilie returned to the room. Here are two links with more information on this case and other Dopplegangers that were more sinister. Literally the first paranormal creature I read about as a child, the Spring Heeled Jack immediately captured my imagination. When I originally heard the tale, it was fraught with the fiend jumping high gates and running up walls. 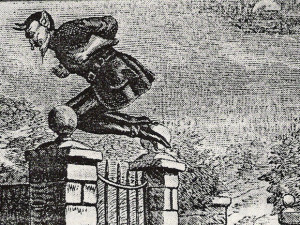 In researching it, it appears that there is no one tale of the Spring Heeled Jack that quite is like another which leads me to believe that it is no one entity. In fact it may not have been paranormal at all. But that doesn’t explain away the reports. 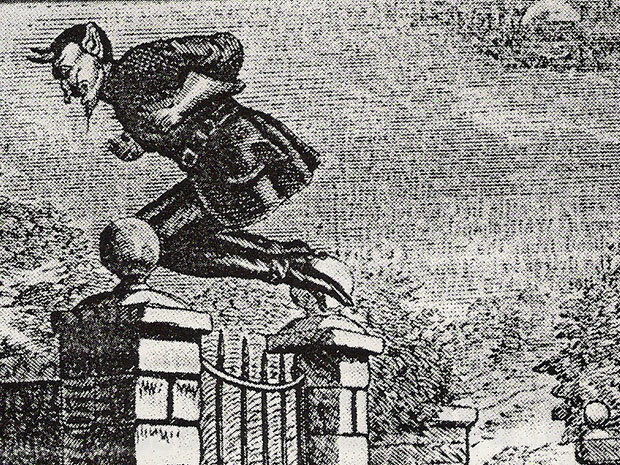 I would expect that a trained Parkour practitioner could have executed much of what is attributed to the Spring Heeled Jack’s antics, but since Parkour is a relatively new art, that seems unlikely. Other suggestions are demons or pranksters. The description of the Jack wearing a helmet and oilskin leans at least a few encounters to the mundane in explanation. Who or what the Spring Heeled Jack is, we will never know. Likely it wasn’t just one creature or person, but it remains a profound mystery. Do your organs carry memories of their own? That is the question that the case of Terry Cottle’s heart poses. Terry Cottle, in 1995, after being verbally abused by his wife put a .22 cal pistol to his head and pulled the trigger. The shot didn’t kill him instantly but after 4 days on life support, his family chose to let him go. For Sonny Graham though, it meant a shot at a second lease on life. Graham’s heart was failing and the transplant from Terry saved his life. At least temporarily. After his recovery, Graham had a new love for life and it seems, some of it wasn’t his own. He began showing signs of having the same desires as Terry Cottle previously had such as a craving for beer and hot dogs, favorite foods of Terry’s. But it didn’t end there. Eventually Graham reached out to Terry’s family and despite urgings from his family not to meet them, he eventually did. That is when he met Terry Cottle’s former wife Cheryl Cottle. Over time a romantic relationship grew between them, despite the fact that they were both married. In time they both divorced and were married. But then things went to Hell fast. Having gone heavily into debt to keep Cheryl in a lifestyle she desired, Sonny Graham committed suicide by shooting himself in the head with a shotgun. Was it life with Cheryl that killed him, or was it the influence of Terry’s heart that drove Sonny to commit suicide? A little of both maybe? In any case, it should be noted that Cheryl had posted she a flirtatious message on another man’s web page, from her account six days before Graham’s death, and shorty thereafter posted his photo as her new boyfriend. Can you say Black Widow. John Johnson, Cheryl’s 4th husband, and the one she left for Graham considers himself a lucky man to have gotten out alive.